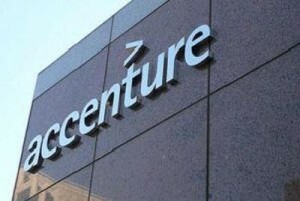 JOHANNESBURG – ACCENTURE, the global professional services company, is committing more than US$200 million (R2,485 billion) over the next three years to equip disadvantaged people with job skills for the digital age. The commitment will help support Skills to Succeed, Tech4Good, Accenture Development Partnerships and related initiatives. In South Africa, Skills to Succeed has already equipped thousands of people with job skills since 2015, with the vast majority of them gaining employment in digital, software development and business process services. One Skills to Succeed programme in the country is CE3 in rural KwaZulu-Natal, which serves as a catalyst for local economic development, strengthening existing businesses, creates employment opportunities and builds new businesses through, among other things, the provision of clean, affordable electricity. Pierre Nanterme, Accenture Chairman and Chief Executive Officer, said as a technology leader, Accenture had an obligation to apply new scalable technology solutions to help solve complex societal challenges. “Our investments will continue to empower Accenture to produce socially minded partnerships and programs that will have a profound impact on the lives of millions of people throughout the world, now and for the future,” Nanterme said. He said the opportunity to improve lives requires collaboration across business, government and non-governmental organisations. With a network of nonprofits and other ecosystem partners, Accenture has since 2010 equipped more than 2,2 million people with the skills to get a job or build a business, with a goal of equipping a total of more than 3 million people by 2020.